STEP 1. In your Pre-Order Hero app, click Products. STEP 2. Choose your preferred products from the list by clicking on their corresponding boxes. 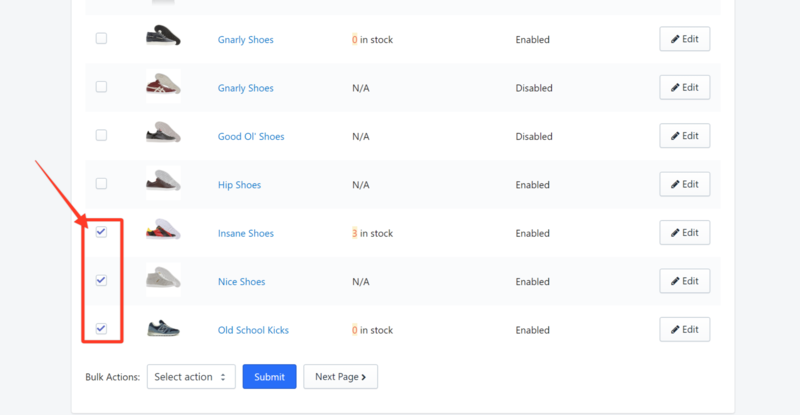 In this example, we choose three products: Insane Shoes, Nice Shoes, and Old School Kicks. STEP 3. 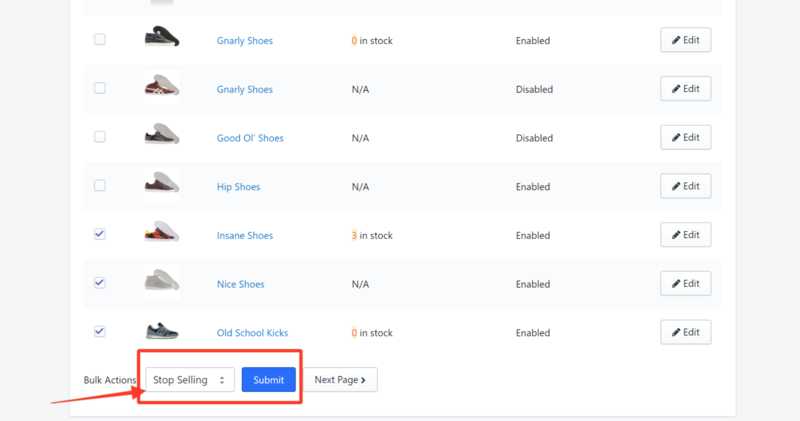 Click the Bulk Actions drop-down arrow and choose an action that would apply to all the three products. 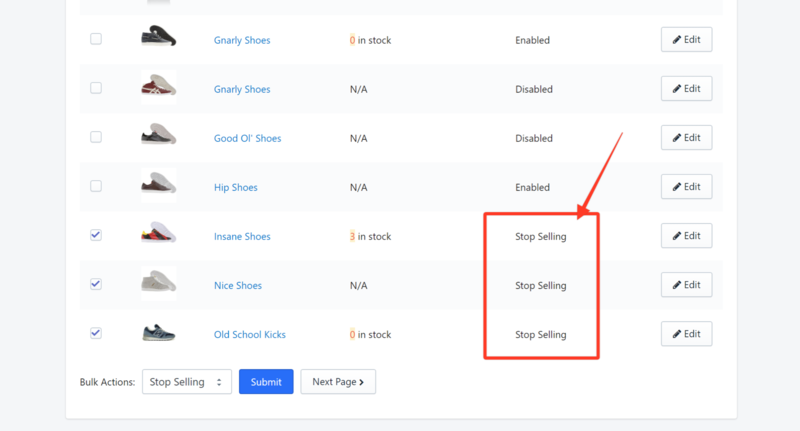 In this example, we choose Stop Selling. This means that the three selected products would no longer be available for purchase or pre-orders. Then click Submit. The Pre-Order Status for the three chosen products will now show Stop Selling. 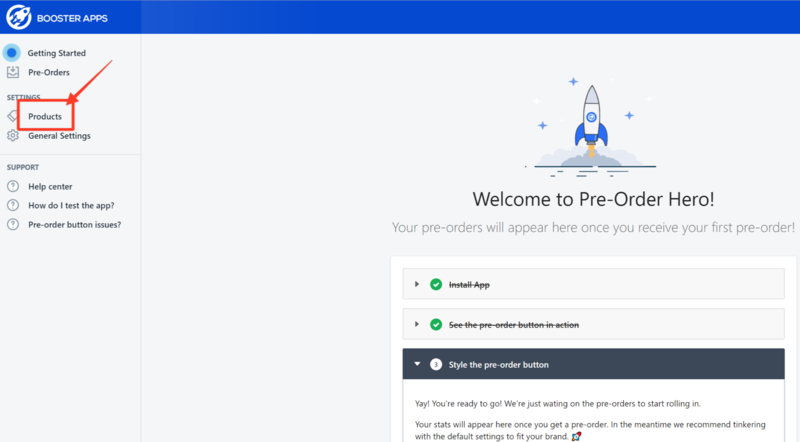 On your online store, the three products would still show in the catalog, but the Add to Cart or Pre-Order button will no longer be visible on their product pages.